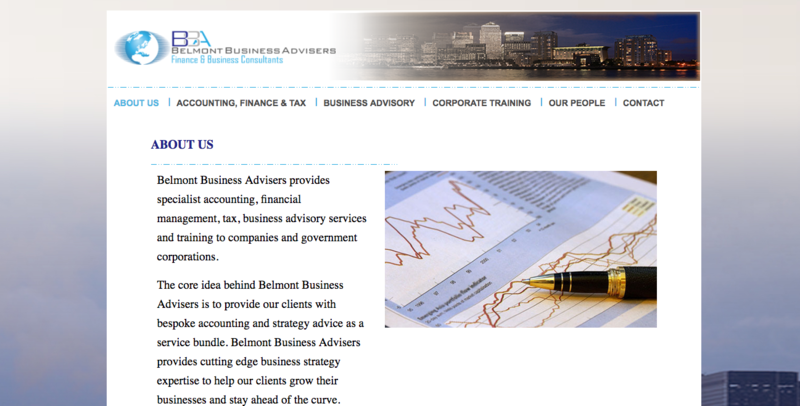 Belmont Business Advisers is a company that provides specialist accounting, financial management, tax, business advisory services and training to companies and government corporations. Our principal developed this website from scratch using WordPress and found a graphics design to take care of mockup creation. We also monitor the site from time to time to make sure it remains up and running.